A caberet-style quintet putting a twist on popular songs from the Classic Pop Rock Era, recent hits, and original compositions. Barflyz unique arrangement “mash-ups” take music from the Golden Era of pop music (60s-80s) and turn them into entirely new musical adventures, leaning primarily on acoustic instruments. Flavors of Jazz, Reggae, Swing, Blues, Latin and Indian music are infused with the popular songs of our youth. Performed by world-class musicians whose credits include, the recently inducted Rock n Roll Hall of Fame Steve Miller Band for over 35 years, Temptations, Manhattan Transfer, Rod Stewart, the role of Lucy in the Sky in the motion picture Sgt. Pepper’s Lonely Hearts Club Band, Diane Shurr and Marvin Hamlish. 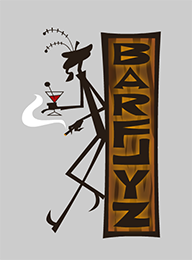 Barflyz performs regularly to sold-out crowds around its home base of The Central Coast, Ca. and is now stretching out to include Performing Arts Centers nationwide.